Being the eldest out of three girls, it was especially emotional for me to see my kid sister all grown up and exchanging vows. In my eyes, she'll always be the little girl that loved to shine in front of the cameras (not like that has changed much), and whose giddiness was contagious after the clock struck midnight. In early March, our families witnessed the marriage of Jennie to Steven, whose dorkiness is awesome. I really wanted to make a wedding cake then, but living out of a suitcase in San Francisco for a week didn't really make that possible. 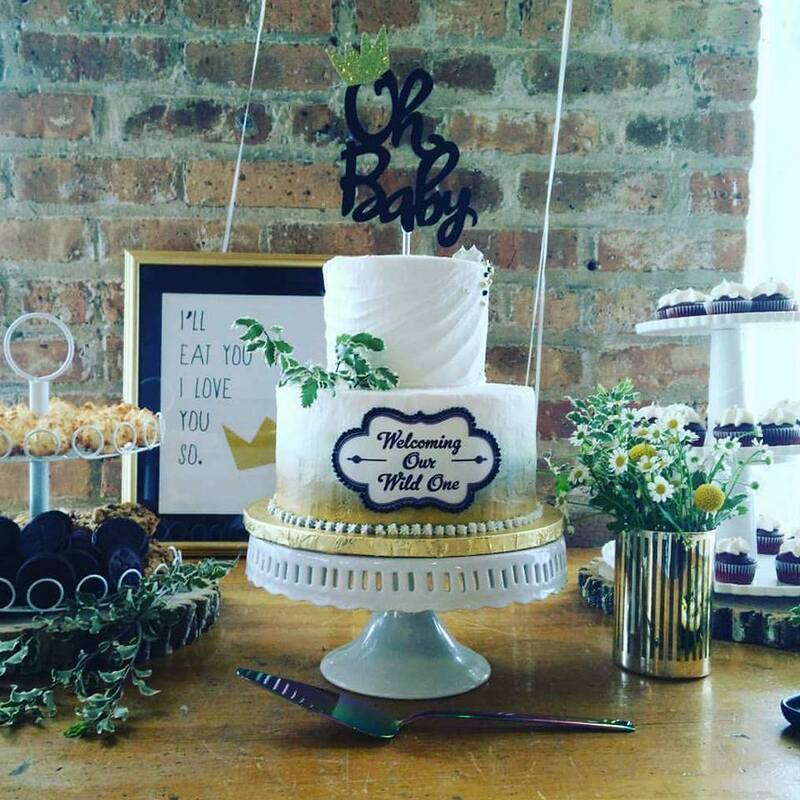 Luckily, with family and friends everywhere, the two newlyweds had to plan two extra wedding receptions... one in L.A., and the last one in our hometown Chicago. Woot Woot! Since it's my sister, the cake had to be amazing and delicious. 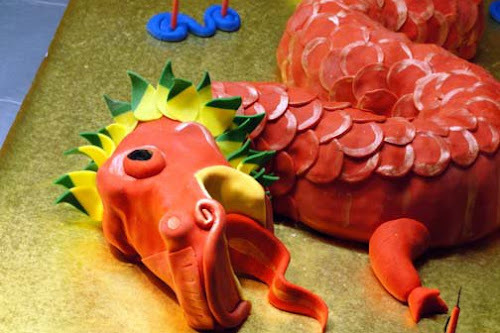 The design of the cake was left entirely to me. Creative freedom is always a plus in my book. Starting with the color palette, I chose her default color from childhood, Pink! Mine was blue, Jennie's was pink, and Linda's was purple (and still is). I decided to use different shades of pink and in different values. 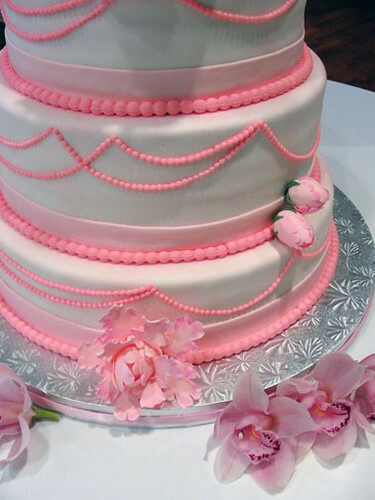 I wanted the cake to look monochromatic elegant, and not Barbie childish. After selecting the colors, I created the design by taking notes from their two wedding invites. The first invite was from their actual wedding, whose contemporary graphics consisted of light pink swagging strings of beads. The invite for the Chicago event was a modern take on the traditional Chinese invitation, whose embossed peonies became my main decorative element. 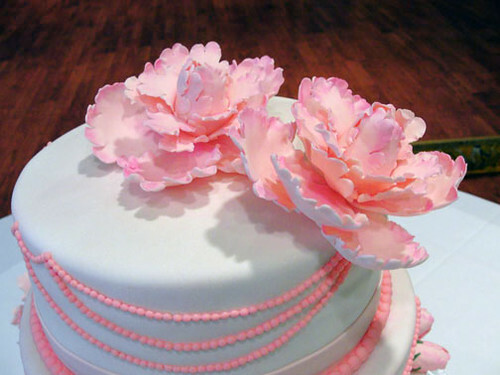 I began with the gumpaste peonies and researched for tutorials. I have never made a peony prior to this, so this was going to a challenge. It could go either way, I could totally breeze through these or get frustrated out of my mind. Luckily, It didn't quite get to the latter. It does take some practice though. Using peony cutters, I started wrapping the smaller petals around a small ball of gumpaste attached to a 20 gauge floral wire. After my first two layers, I noticed that my peony was looking more like a small cabbage. It also felt really heavy. I did not like how it looked or felt. I knew this was not going to work on my cake. I started all over and used CelBuds instead. These are bud shaped styrofoam that I could insert a wire through it and twist the wire to secure in place. There was no way that my peony would fall off the wire when I hang it upside down. I began on the petals differently too. I started with the largest petals and attached them to wires, and ruffled the petals with a ball tool on a thin foam pad. I then allowed these to dry in shallow flower formers. The smaller petals were cut out and I ruffled them the same way, but attached them to the CelBuds. I used a skinny veining tool to open up the petals more and hung them upside down to dry. After the first layer was dried, the second layer of petals were attached, opening up slightly more than the last. Once these were dried, the largest petals on the wires were attached by wrapping the wires around the center wire. These were then covered with floral tape for a clean look. Each petal was then accented with a blush of deep rose petal dust for life-like and subtle color. Notice that some were left as closed buds for variation. Now that the challenging part was over ( or so I thought), it was time to bake the yummy goodness that everyone will enjoy! Green tea with raspberry whip filling! Yes, this was my first attempt at this recipe and I never thought that finding cooking grade green tea matcha would be so hard. I think it took me about three days to find some, and some that didn't cost me an arm and a leg. I eventually found some and it was definitely worth it. It had a subtle sweetness that I really liked. The cake consisted of three levels of stacked cake, with a 14" bottom, 12" middle, and a 10" top. It was a lot of cake. I was really worried about how level the cake would rise, and how evenly baked they would be. Good thing I had my Even Bake strips, and that I found a neat trick that uses a flower nail to help the baking process. 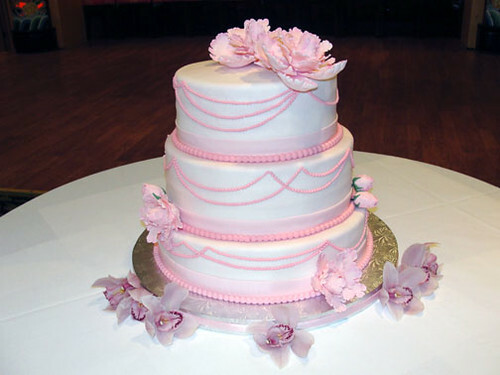 A flower nail is placed head down in the center of the pan and the cake batter is poured around it. It acts like a heating core, but there no huge hole to fill later. My cake baked so even that I didn't have to level my cake! Amazing! Each one was then torted after cooling, filled with a non-dairy raspberry whip, and stacked accordingly. I crumb-coated each one after allowing them to settle. This helps eliminate the side bulges. White vanilla fondant covered each cake, and then smooth to perfection. To carry on my color theme with out over doing it, I airbrushed on a pink sheen on each one prior to assembling the cake. Construction is very important when dealing with a cake of this size and weight, I think it was total of 50 lbs. I inserted 8 cake dowels in the bottom cake, and 6 in the middle level. The cake was then stacked and held in place by a long dowel down the center. I did not want this cake to move during my 45 minutes drive. 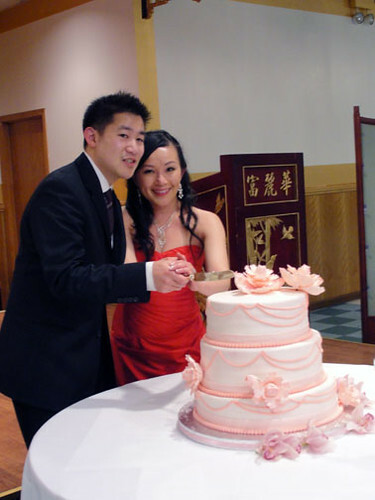 A pale pink ribbon of fondant was rolled out with the help of a pasta roller, and trimmed each cake level. A brighter pink was then used in a 9mm beading mold and trimmed the ribbon. To continue on the look of their first invite, random lengths of beads were attached to the cake for a modern flair. The gumpaste peonies were attached to the cake onsite, and I couldn't be happier with result. I hope she loved it as much as I wanted to make something special for her. Congrats again sis, and welcome to our crazy family, Steven! Aw, such a sweet cake and a sweet gift to your baby sis! It sounds delicious, too! Hi..can you tell me the size of the celbud that you used for the peonies?